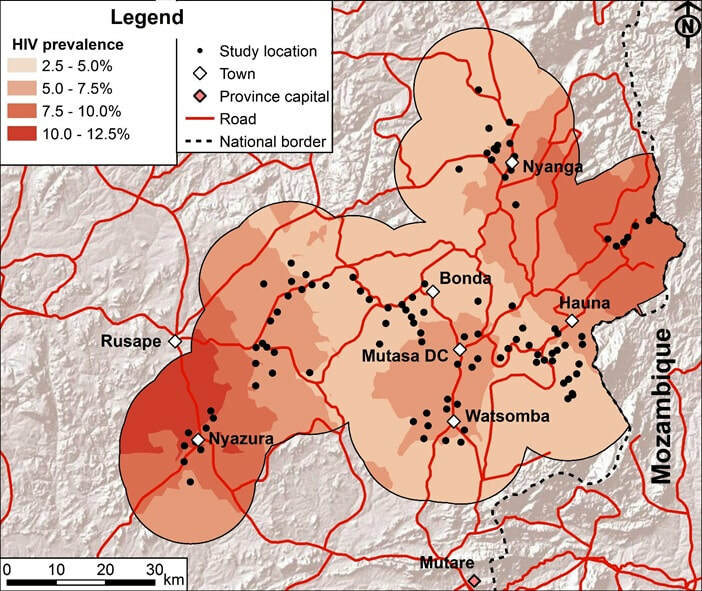 We host a population-based, open cohort survey investigating the dynamics of HIV transmission and its impact in 12 sites, representing 4 different socio-economic strata in Zimbabwe’s Manicaland province. Between 1998 and 2013, we collected six rounds of data from adults (15-54 years). 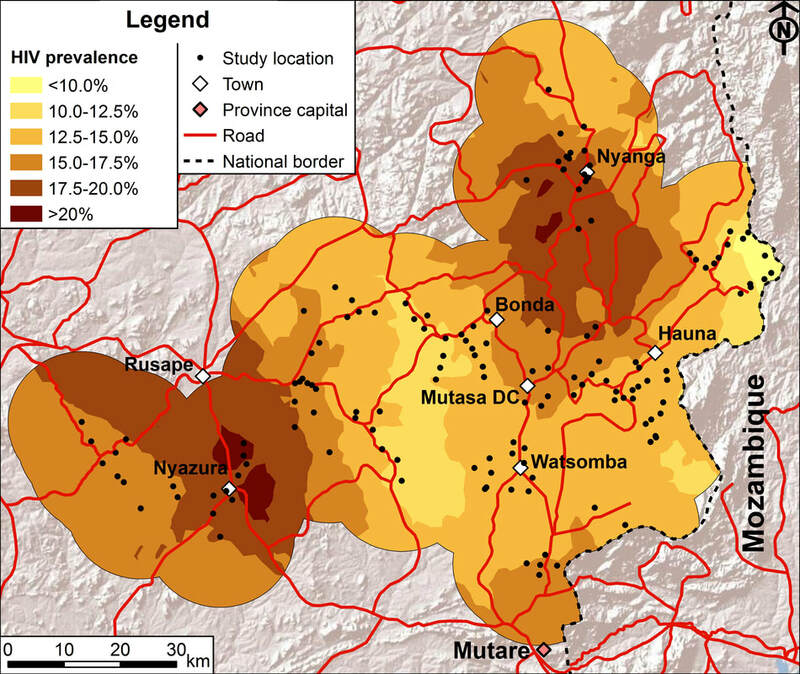 Data on HIV prevalence, HIV incidence and mortality by infection status in children from approximately 3,000 2-14 year-olds in the fifth and sixth rounds of the survey. Each round of the survey comprised a census of all households in the 12 study sites, followed by interviews (including HIV testing) with individual household members, verbal autopsy interviews with caregivers of past participants who have died since the previous round, and interviews with and collection of dried blood spot samples for HIV testing from women attending for antenatal check-ups at local health clinics. Due to the dispersed nature of the study communities and to safeguard data quality, study communities are enumerated on a phased basis and each round of the survey has taken 18-24 months to complete. Information is collected on migration, socio-demographic and socio-economic characteristics, mortality and fertility, children’s orphan status, sexual behaviour (including patterns of community- and individual-level psycho-social determinants of sexual behaviour), knowledge and awareness about HIV and levels of access, uptake and adherence to HIV/AIDS treatment and other services. In parallel with the general population cohort, at each survey round, unlinked anonymous HIV surveillance was conducted amongst pregnant women attending for routine antenatal care (ANC) services at the health centres in each study site, following procedures similar to those used in national HIV surveillance programmes. This allowed us to compare trends in HIV prevalence as measured in ANC surveillance with those in the general population and to evaluate changes in bias over time. The cohort was funded primarily by the Wellcome Trust. The main questionnaires used in the cohort survey are available for download. We have tried to maintain consistency in the questions between survey rounds to permit measurement of trends in key indicators in the epidemic. However, inevitably, some questions have been dropped and others have been added to reflect changes in the stage of the HIV epidemic and in the national response - most notably, increasing availability of HIV testing and treatment services.